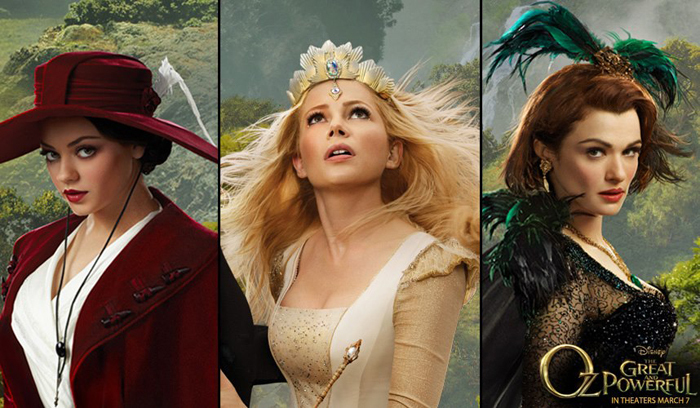 Went for the media preview of the latest Walt Disney movie last week, Oz The Great and Powerful! The media preview was held at The Grand Cathay & there was a cute set-up done at the lobby! Here you can hold on to the rope of the hot air balloon that brought Oz to... well, Oz & even have the wind in your hair (there's a fan hidden at the side) to simulate the tornado he went through! Below is the official synopsis of the movie! Sam Raimi (the director), directed the Spiderman trilogy by the way! 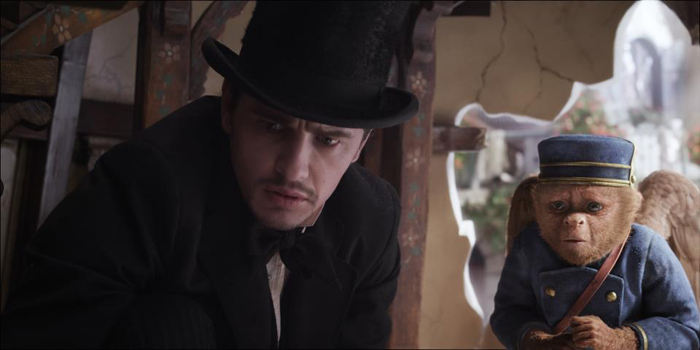 When Oscar Diggs (James Franco), a small-time circus magician with dubious ethics, is hurled away from dusty Kansas to the vibrant Land of Oz, he thinks he’s hit the jackpot - fame & fortune are his for the taking - that is until he meets three witches, Theodora (Mila Kunis), Evanora (Rachel Weisz) & Glinda (Michelle Williams), who are not convinced he is the great wizard everyone’s been expecting. Reluctantly drawn into the epic problems facing the Land of Oz and its inhabitants, Oscar must find out who is good & who is evil before it is too late. Putting his magical arts to use through illusion, ingenuity - & even a bit of wizardry - Oscar transforms himself not only into the great & powerful wizard but into a better man as well. These are the 3 witches of Oz! Can you tell who is good & who is evil? 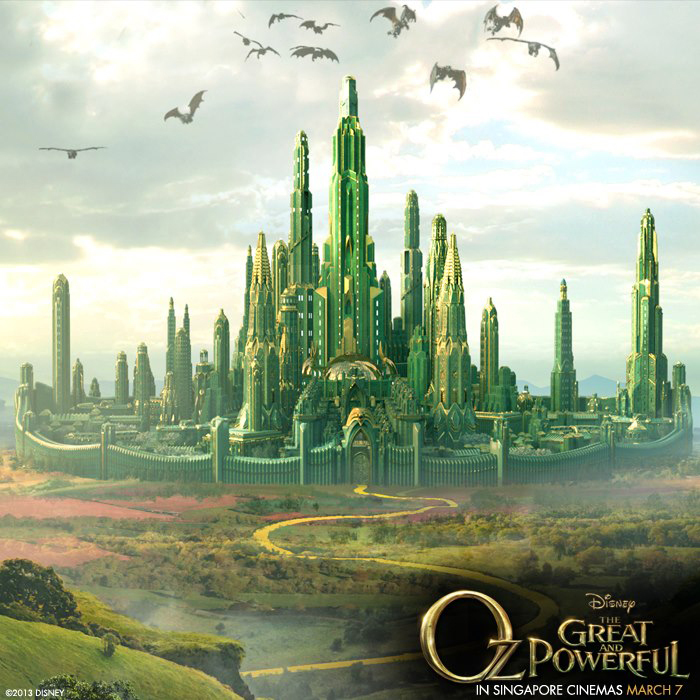 This is the huge Emerald City of Oz! I know it looks like she is called Evanora in this picture, but that's actually Glinda haha. Evanora is hidden behind her! 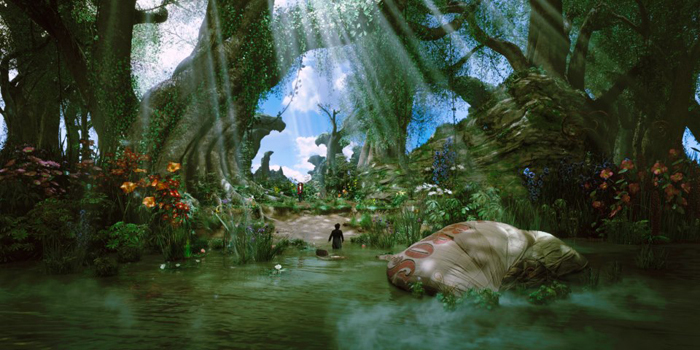 The movie features lots of gorgeous & huge flowers! The natural landscape in Oz is really pretty. A few scenes from the movie! Here's a little spoiler: the beginning of the movie is in black & white! This is when he first lands in Oz. Check out the huge & colourful flowers around him! Ok I can't describe the scenes in case I give away too much about the movie & spoil it for you guys! But yes, there is a monkey bellhop with wings hahaha. Finley the monkey! He's very cute & funny! Probably everyone's favorite character in the movie (mine too, even though I don't even like monkeys). And the pretty little China Girl! Now you know what China Town was hahaha. 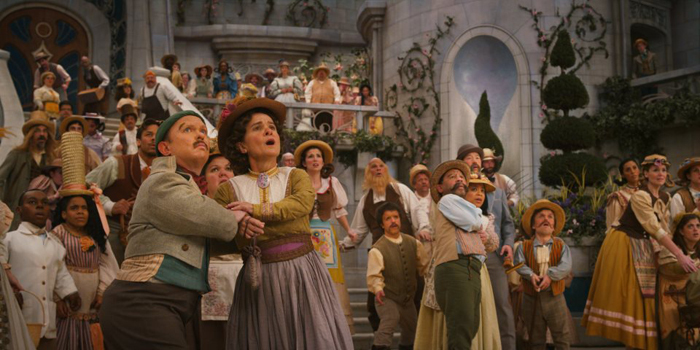 Trivia: Almost 2000 costumes were designed for the cast playing the quirky inhabitants of Oz! Can you guess who the Wicked Witch is? 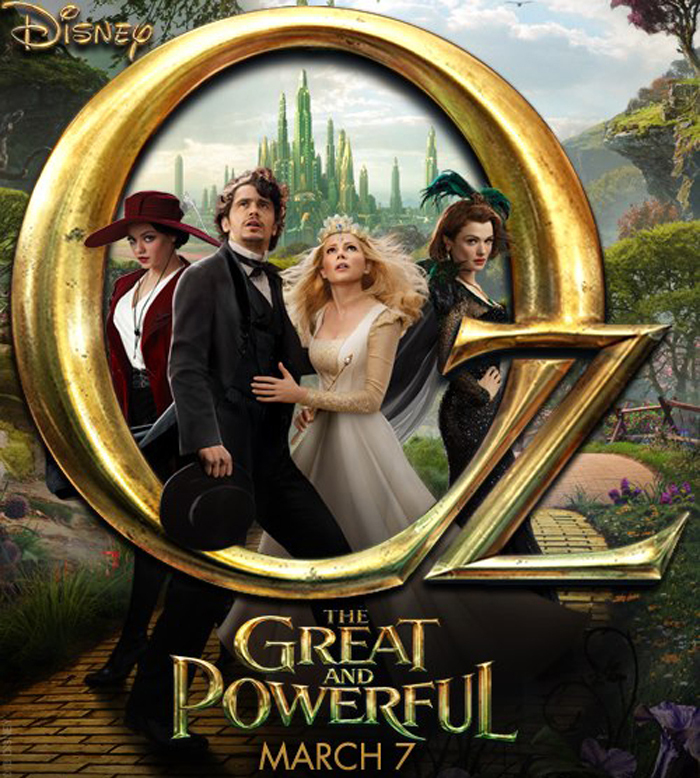 Catch Oz The Great and Powerful to find out! 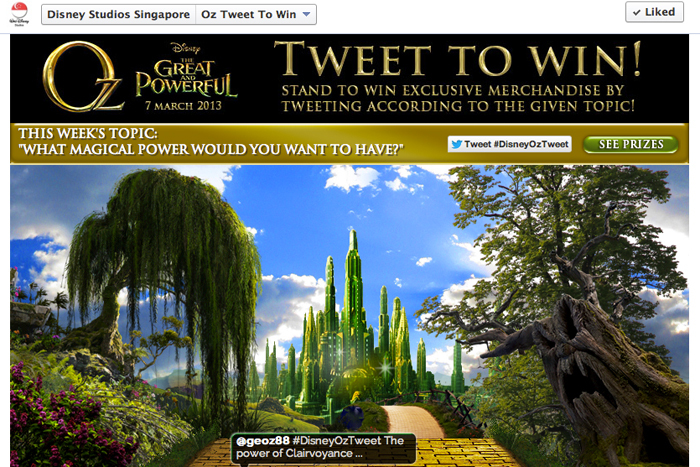 Enter the Oz Tweet to Win contest found on the Disney Studios Singapore Facebook Page! There will be different questions each week so check back for the new topics! 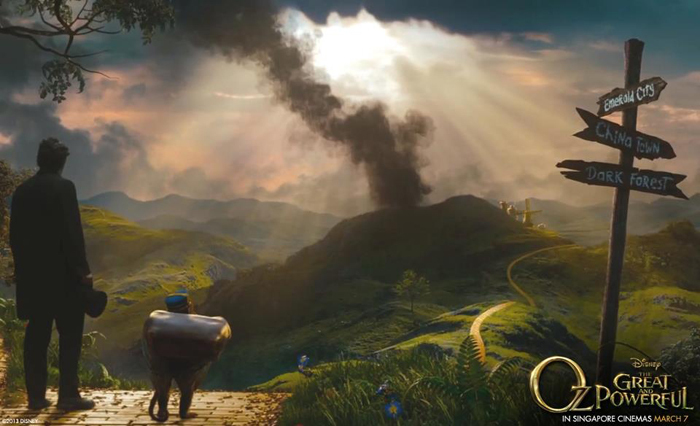 Your tweet will appear on the moving yellow brick road! @sophiewillocq I wish I had the power of telekinesis! 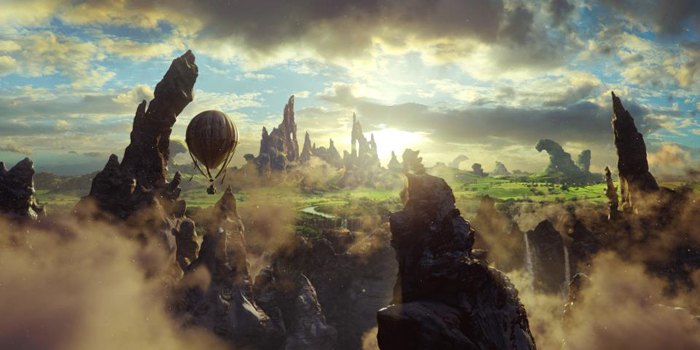 Don't forget to include #DisneyOzTweet in your entry! It's that simple! You can send out as many tweets as you want, so knock yourself out listing every magical power you'd like to have haha (Invisibility? Fire? Ability to fly?) & you might win movie premiums! Remember to check back at their Facebook page for the latest tweet topic! Follow/Like/Subscribe to Disney Studios SG to make sure you don't miss out on updates & contests! 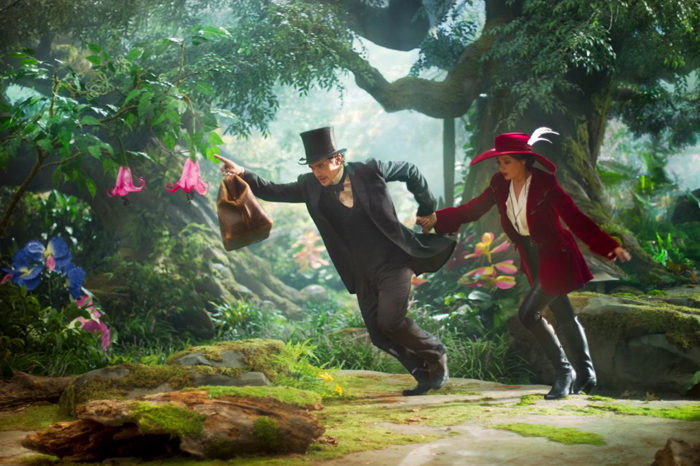 5 comments on "Oz The Great and Powerful"
Mila Kunis is hot hot hot! Nice blouse! Where did u get it from? Thanks! Btw, love your top.. Can i know where you got it from ? ?